A few nights ago, I received an e-mail with a document attached to it. My eyes widened and an indescribable feeling came over me when I realized what the document contained. 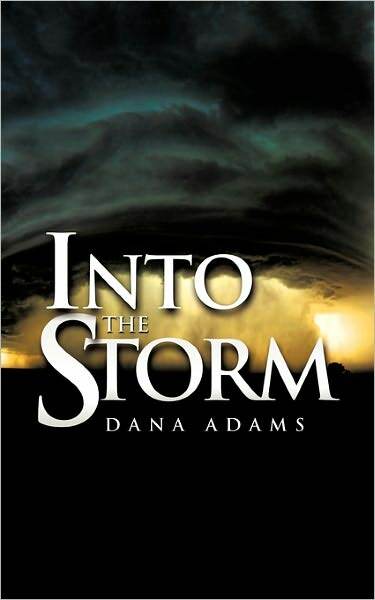 The title read, “Dans La Tempête” (Into the Storm). It was a version of my book translated into French. A little over a year ago, a mission team from Montreal came to spend a week with us in Cap-Haitian. We thoroughly enjoyed their visit. Once, while we were all visiting together, I mentioned to the head elder responsible for the group that I would love to get my book translated into French. Robert Gadbois told me of a friend of his, Linda Sheldrick, who knew both French and English and he believed that Linda would be willing to take a look at the book. Linda’s daughter, Marjolaine, also came with the team. Long story short, Linda agreed to translate the book on one condition: that there be no time limit on it. I concurred and she went to work around July of 2012. Months went by and I didn’t hear from her. Having our hands full with the work of the ministry, I felt that she would send it in good time. Finally, when I saw the French version staring back at me on my computer screen, I must admit I felt lightheaded! The Lord indeed works in mysterious ways! A total stranger spent close to 10 months laboring over my book translation, expecting nothing in return. I now ask your prayers for the doors to open in order for the book to be published, plus have a platform in the French speaking world. I know that the Lord can complete what He started! By the way….I have plenty of copies here in English if anyone is interested in purchasing some. I will be happy to send them to you. They’re $10 a copy. How wonderful! I’m still so blessed and amazed at all that God has done in your lives! Thank you, Jennifer. 🙂 I signed up for your e-newsletter. You’re such a wonderful writer & we love keeping up with you guys. Thanks, Lisa. 🙂 We love you guys! I haven’t forgotten you. Sorry for the delay on your questions. Will get back with you soon.